Many businesses, especially startups, struggle with finding their brand voice. By thinking about the message behind the brand, however, startups can begin creating a successful branding strategy. There are more startups than ever before, and standing out from the crowd is difficult. Luckily, this is where branding helps. Branding is essential in modern business, but many startups struggle deciding where to start. With these 4 simple tips, businesses can create a successful branding strategy. The logo is the most recognizable visual aspect of any brand. It’s very important that a brand has a well-designed logo that speaks to its audience. 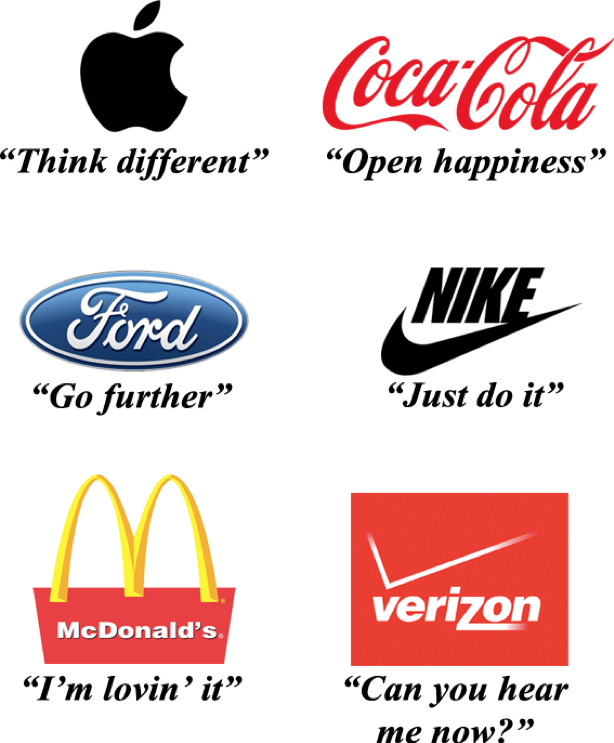 Most of the time, customers recognize brands through their logos. 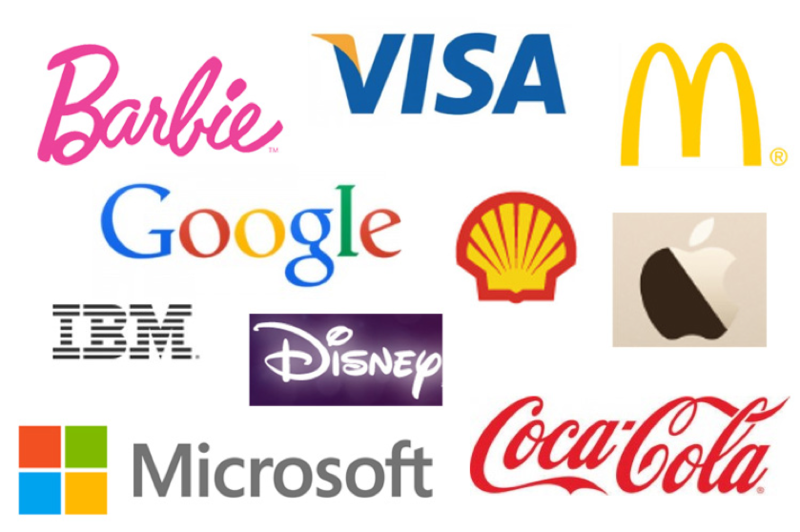 Some well-known logos include Barbie, Visa, McDonald's, Google, Shell, Apple, IBM, Disney, Microsoft, and Coca-Cola. Logo design is the first impression of a company, and first impressions matter, especially when it comes to how potential customers perceive brands. Create an inspiring logo that succinctly conveys your brand message and is memorable. Analyzing your audience, the messages that will appeal to them, and your business is essential for creating a good branding strategy. After doing this, the first step is to create a logo that complements your strategy and speaks for your business. Branding starts with a logo, but it carries an even greater importance. Your logo sets the tone for other branding elements and efforts. Your logo will be featured wherever your brand is exposed, including blog posts, web pages, videos, and business cards. This means that your logo helps you establish your brand message and spark initial brand recognition. The primary goal of your brand is to set your business apart from the rest. This is why it’s important to create an evergreen brand message that will tell your audience what makes you different and why they should consider partnering with your business rather than one of your competitors. A lot of startups focus heavily on a brand’s visuals, but the message behind them holds even more value. Verizon: "Can you hear me now?" The designs make people notice your brand, but the story behind your brand makes them want to stay. The brand message tells about your company’s goals, thoughts, motivation, culture, policies, and values. When you know these things, you will create a brand message that represents your business authentically. You can send out the right message once you’ve analyzed your business and established who you are. This will also allow you to give answers to questions such as how you are unique, what you offer that others don’t, and how you make a difference for customers. This will make it easier to dispatch consistent messages that will resonate with your audience. Customers will take you more seriously and trust you if you remain consistent in your message and tone. If a brand sends mixed messages, the audience might get confused and think that it’s not the same brand, which will make it more difficult to stand out. Once you establish your brand message, the next step is to deliver it to the public, and the best way to do this is through content. Your content strategy is the vessel that delivers your brand message. All the content you create and release to the public, whether images, videos, articles, or blog posts, needs to be coated in your brand message. With consistent content promotion, you will be able to spread your message and earn customers. Businesses should be consistent with sharing content and with the message they are trying to convey. All the content on your blog, website homepage, landing pages, and social media needs to be consistent and cohesive. One of the best ways to spread content and establish your brand is to create a blog. Through regular blog posts, you can share pieces of your brand that will bring customers closer to you. Furthermore, blog posts can easily be shared on social media for more exposure and increasing traffic to your website. Content allows you to share interesting stories about your brand while explaining the value of your products, services, or a certain topic related to your business. To get great results, make sure that all of your content is aligned with your core brand values and the message you want to convey. After you’ve established the core of your brand and created a strategy, you need to promote your brand online. There’s no point in having a unique brand voice if no one is listening. Social media can help you get started in marketing your brand. Create profiles on relevant social media networks with audiences who are interested in your brand and engage with them. For example, Taco Bell effectively uses social media to engage its audience and boost engagement with existing and potential customers. 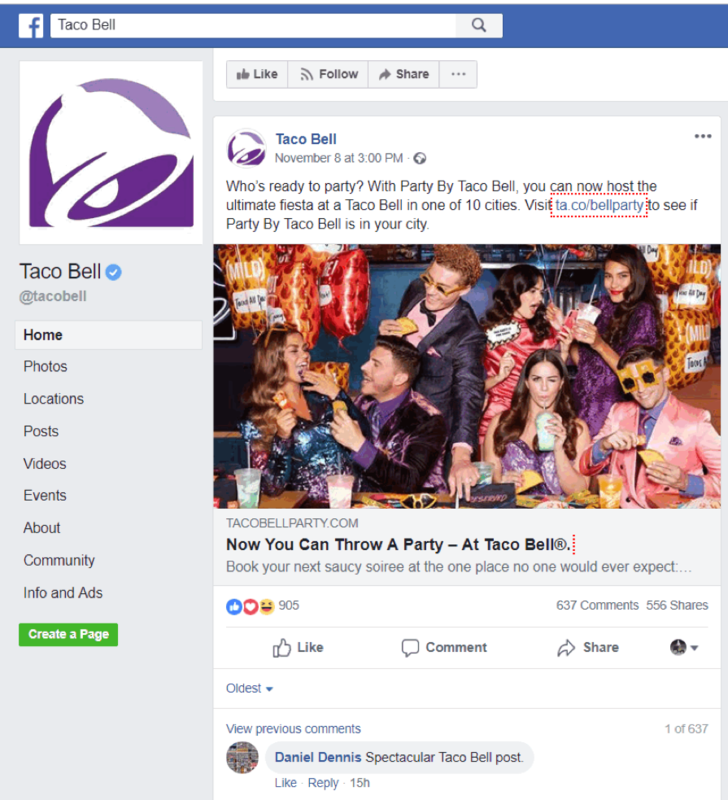 It's important to share your content, engage people, and post brand messages like Taco Bell. Make sure you do this on a daily basis while always keeping your core brand values in mind. If you want to quickly reach more people and you think you’ll be able to engage them, create a PPC campaign to get instant exposure. Additionally, all your content should have links that lead to other locations on your site that are relevant and that people might find interesting. For example, interlinking blog posts and embedding links in videos are common practices. Top branding agencies emphasize the importance of a branding strategy that includes a combination of memorable designs, creative content, and a consistent social media presence. Without these elements, your startup will never get the traction it needs to grow. Consistent content creation and sharing your brand message builds a loyal follower base around your business and allows you the opportunity to grow your startup. 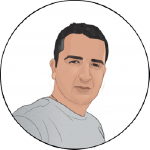 Marco Mijatovic is one of the guys behind FirstSiteGuide.com, a place fulfilled with numerous free online resources that can help you establish an online presence and boost your brand. Read detailed client reviews of branding agencies to find the best provider for your business.